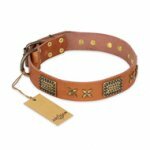 Which Prong Collar for Pitbull to Choose? 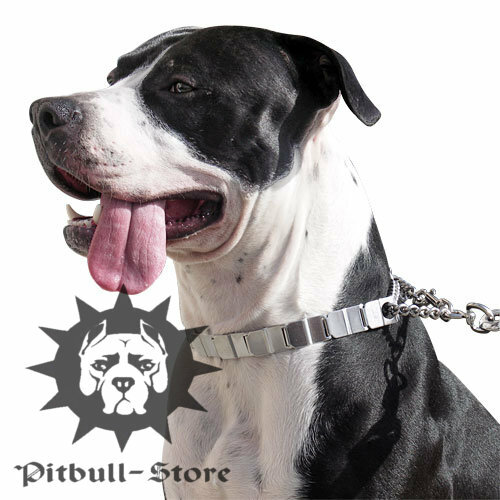 Prong or pinch collars are used for Pitbull strict training and behavior correction. These tools are not to start obedience training. 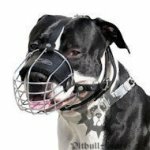 Don't use such a collar to make Pitbull behavior training easier. Pinch collar is helpful and useful to correct behavioral issues only. They are: pulling on the leash, dog aggression, jumping and attacking people and animals while outings, disobedience. 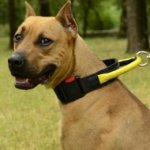 How does prong collar work? There are prongs on the inner side of the collar to press on the neck of Pitbull. They aren't sharp and act like the mother-dog teeth. 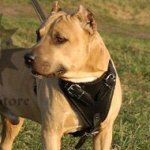 Thus the action of a prong collar is built upon natural instincts and the collar is safe for Pitbull when used properly. Prongs are polished to prevent injuries. 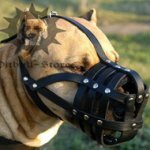 They don't put pressure on the dog's neck when the collar is not tightened. 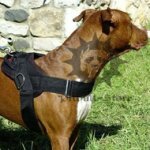 Prong collars with short and long prongs are available for Pitbulls. The larger your dog is, the longer prongs you need to get. 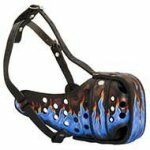 There are pinch collars, which are entirely metal and with nylon or leather parts. 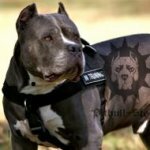 Which model is more suitable for your Pitbull? 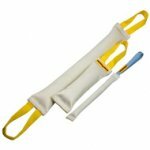 Prong metal training dog collar is fastened and unfastened by 2 prongs detaching. The collar is fitted with firm chain and 2 solid rings for leash connection. When you connect the lead with a loose ring, the collar acts as a choker. It will press on Pitbull's neck at tension. 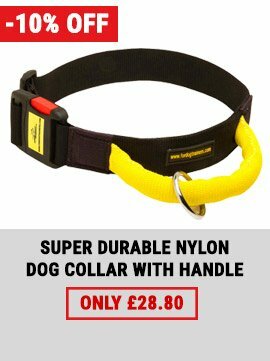 The collar is used in such a way when the dog refuses to obey. 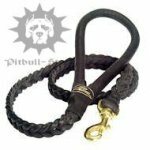 If you start Pitbull training, attach the leash to a fixed ring. 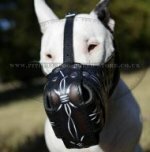 Thus you will come in contact with the dog because the tightening is always stable in this variant of lead attachment. This method is advisable in first weeks of collar using. 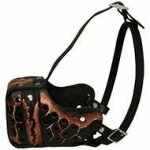 Prong collar for Pitbull with nylon or leather loop goes with quick-detach buckle. 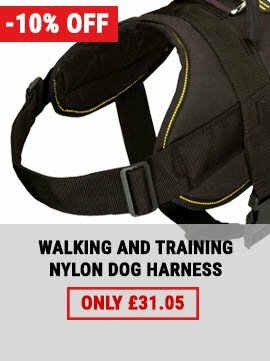 It is put on and taken off easily with one click of the buckle. The buckle is sturdy and almost unbreakable. It won't unlock accidently and will resist hard loads. The collar with the buckle is very convenient. 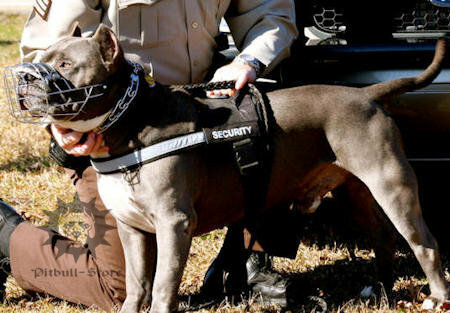 Just a few seconds and your Pitbull is ready for training! 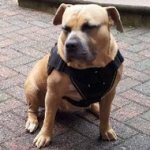 The part of leather or nylon saves your hands and time and helps to collar Pitbull safely. 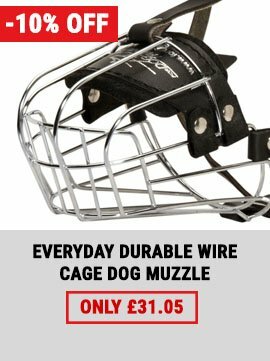 It is tear-resistant and reliable in use. There are 2 weld rings on the band. 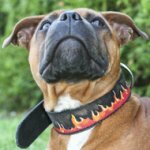 The collar acts as a choker if to attach a leash the one ring and as a prong collar when you connect the lead to the other ring. Both models are effective and not violent if to use them properly. 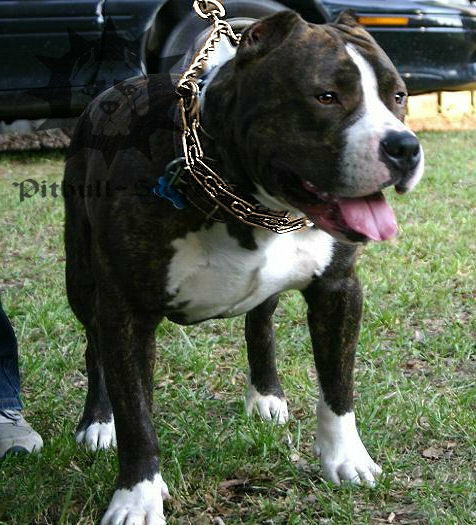 Don't leave Pitbull alone with the prong collar on. 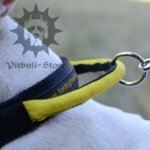 Choose the right size of the prong collar to make Pitbull training safe and effective. Never try to put the prong collar on over Pitbull's head because you may traumatize the dog's eyes. Wear the collar behind Pitbull's ears and under the jaw line. 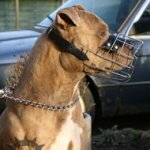 The collar is used for Pitbull training only and not for daily walks. Don't leave the dog tightened on the leash with the collar on. Prong collars are not for Pitbull puppies. They can traumatize neck and trachea. Consult a trainer before getting choker or pinch collar and use them on the advice of a professional and if required under his supervision. Feel free to contact us if you have questions.